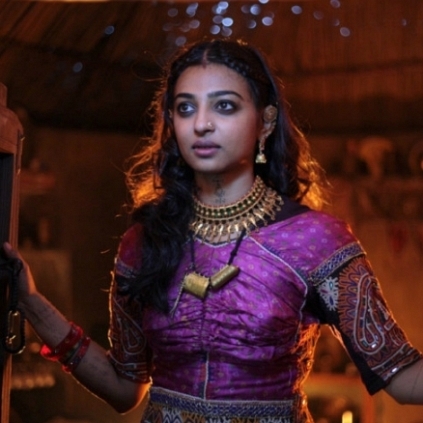 The first lady of Kabali, Radhika Apte celebrates her 31st birthday today on the 7th of September. The actress it seems celebrated her birthday in her own style - by working! It didn’t matter to her that it was her birthday and she made it clear that she is a dedicated professional by dubbing for her upcoming film Bombairiya. "This year I'm pretty much celebrating my birthday with work which is great too. I have to dub for my film and also rehearse for one of my performances. It is probably the first time that it's all work and no play." She has stated to the media. The actress who was seen stealing the show along with Superstar Rajinikanth in Kabali had also starred in Phobia this year. She has three films, Ula (Tamil), The Field (English) and Bombairiya (Hindi) lined up and will also be seen in Parched which is to hit the screens on the 23rd of September. Here’s wishing our very own Kumudhavalli a very happy birthday and all success in her future endeavours. Magizhchi!